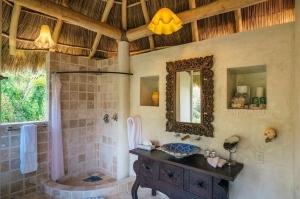 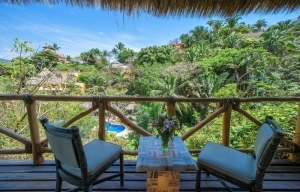 Villa De Amor at Amor Boutique Hotel is a ultra-private, air-conditioned 1 bedroom villa perched atop our lush garden and resort. Its floor-to-ceiling glass windows open completely to provide ample views. 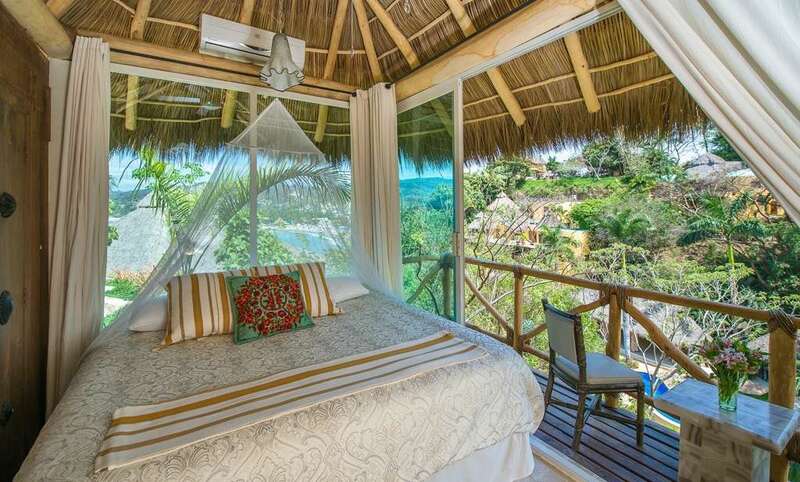 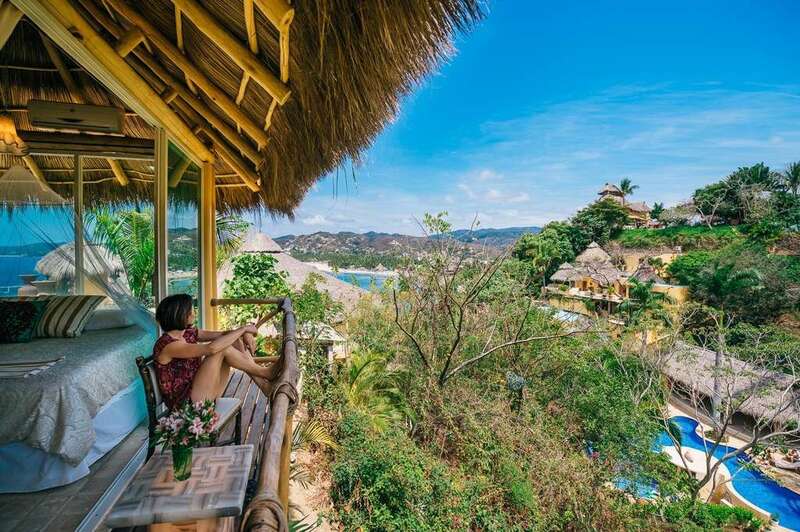 With incredible, lush green foliage that wraps around the villa, you’ll feel like you’re living in a tree house. 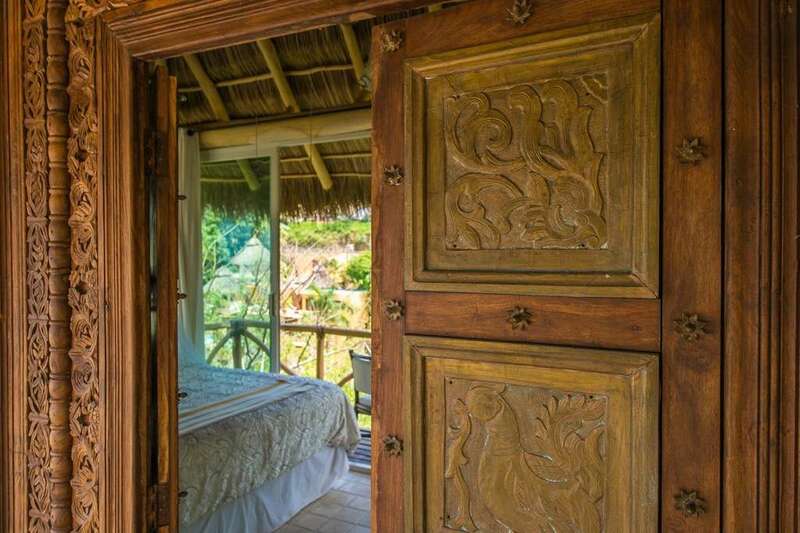 Wind up gorgeous, brightly colored stairs to your detached villa and step through an oversized, hand-carved door to enter and enjoy your 270 degree view. 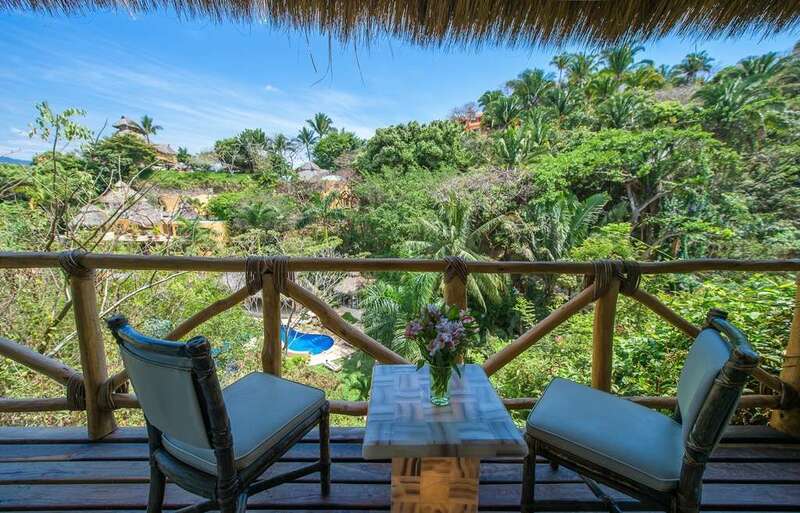 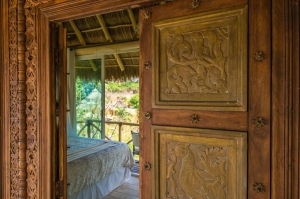 Step onto your charming balcony overlooking the jungle below. 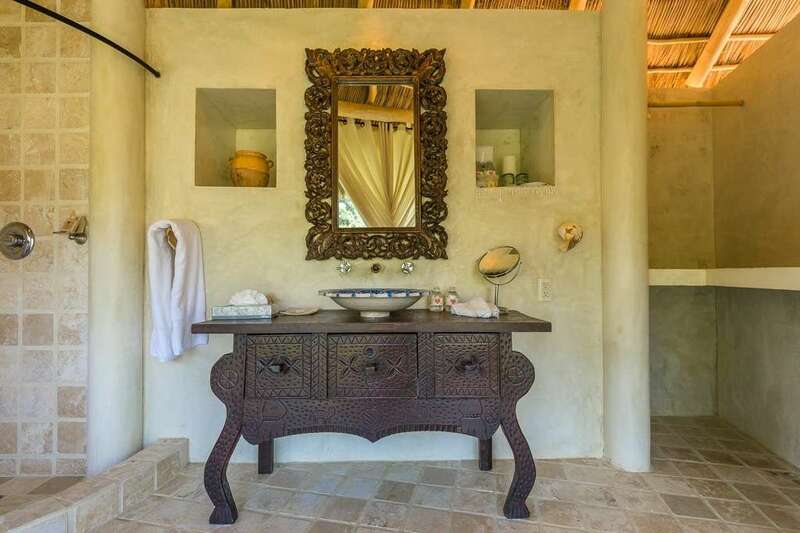 Amor Boutique Hotel guests enjoy our private fishing or surfing charters because the panga (boats) pick them up right in front of our resort. 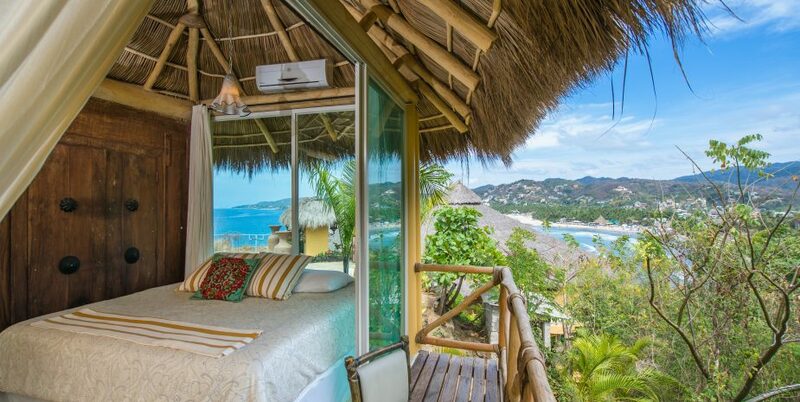 You won’t need to take a taxi or rent a car. It’s super convenient and has become a big reason why surfers and fishermen love our location. 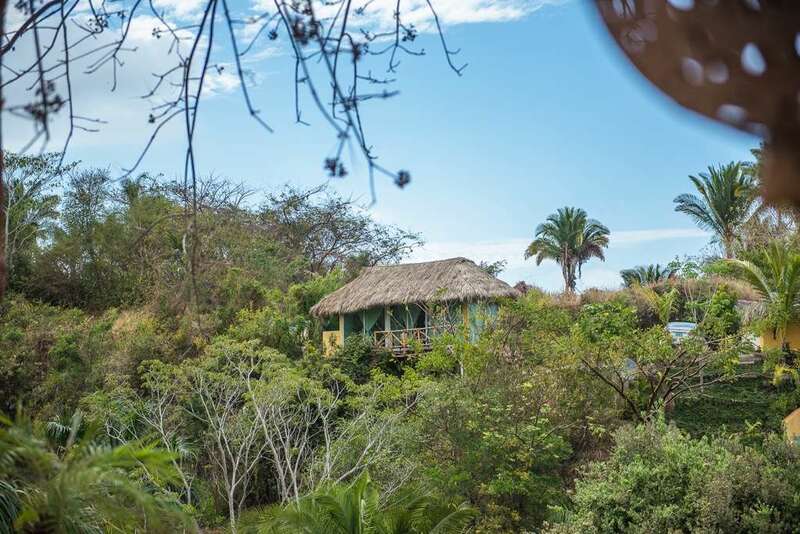 Many fishermen bring their prize catches to Sí Señor Restaurant and have it specially prepared for a great dinner! 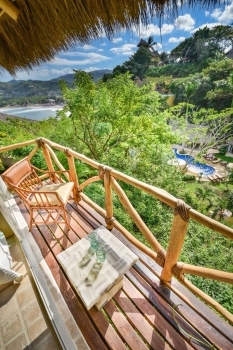 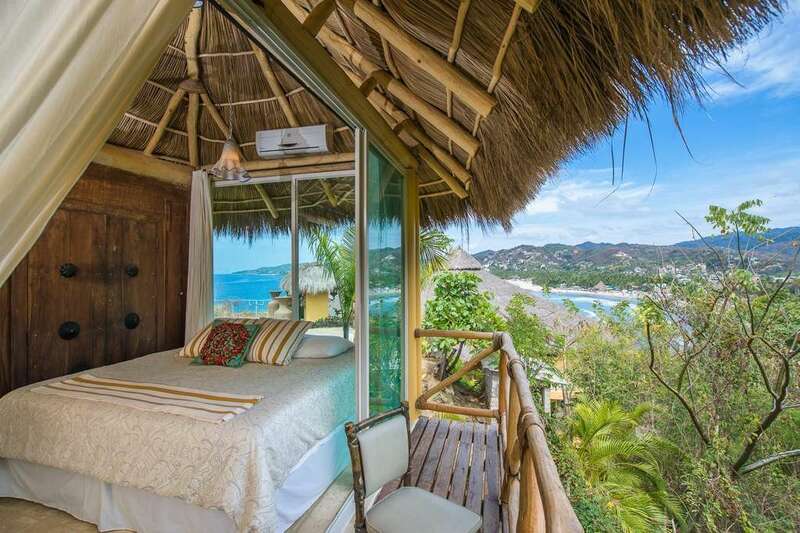 Sayulita is a 40 minute drive from Puerto Vallarta and just 15 minutes north of Punta de Mita.